The hardest part about attempting to be a vegan is living in France. I was a happy go lucky vegetarian, who sometimes took bites of meat when cooked for me before, it wasn't so hard, I ate what my body asked of me, and all was good in the world. Failing at veganism is a little bit like failing at the plastic free lifestyle, I can go weeks, even months, without a hiccup, then all of a sudden I find myself standing gobsmacked in the middle of the street, wondering how I ended up with a plastic bag in my hand and a buttery delicious croissant sliding down my throat. 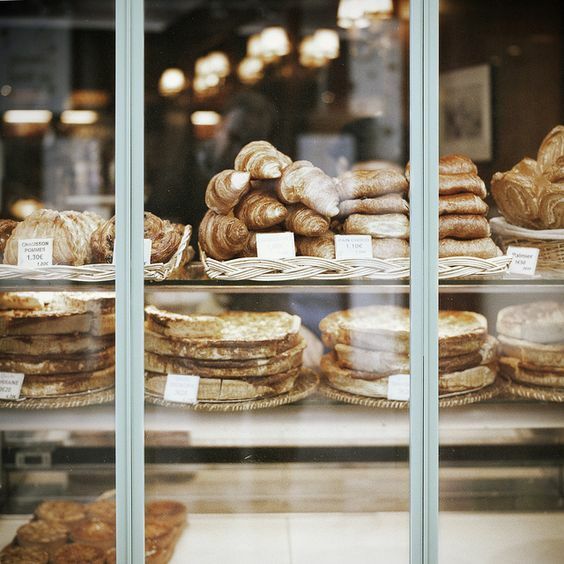 If you've been to France, particularly Paris, you'll understand completely the beauties of your local boulangerie, and the addictions that can develop within. Sure, there are French vegans, but they've had their whole lives to get over the intoxicating and alluring smell of freshly baked bread and the charm that comes with conversing with your local baker buddy. I've been living here 8 months, I'm not over it (yet). Plus, I freakin' love carbs still. Then there's the cheese. Across from the produce stall in our market is a cheese monger with about 200 types of cheese (...guess what goes great with carbs guys?). Mind you, the cheese here is all made in France, and they treat their cheese making like an art. But do I know how the animals who provide such a godly gift are treated? No. French people can be assholes to other humans, with a selfish disregard to the vibes they might be tossing your way and a penchants for flipping out for no reason. After seeing the tantrums that can be thrown within the tranquility of the flower markets for a line being too long or a flower being to blue, I can only imagine what 'tones' a frustrated farmer might take with our animal friends. I know it is my responsibility to be responsible with my consumption, on a product level, I have it under control; on a food level, the best I've been able to consistently do is keep on trekking. Since watching COWSPIRACY, I feel like a hot diggity dangin' hypocrite contributing to our planet's demise with my cheesey carby consumptions. I can boycott fast fashion all I like, the number one planet polluter and climate heater upper is the meat industry, because, like everything else, we've not respected the natural order of things and started breeding and over feeding and over producing and over consuming. So the only way to fight that is by doing the exact opposite and taking yourself out of the running as a contributor to the problem. Like any other move towards a more sustainable lifestyle or personal change in general, it is gonna take some work and constant corrections and adjustments. I'm only doing this for the planet and her animal buddies, and both are sometimes hard to see above these cool topped buildings or within the maze of magical streets. But I'm reminded at each sunset of the beauty I wish to continue to see, and the magnificence this world has to offer which I have a responsibility to protect for at least the next seven generations to come. So my dear carb buddies, and cheese buddies too, I'm going to try once again to bid you ado. 1. There are vegan boulingeries like the one I spoke about in @selvabeat's magazine, but their products, lacking in proper butter, taste more like the packaged croissants you get on airplanes, than the sweet flaky gooeyness that has me addicted. Bless their sweet hearts for trying tho. 2. French People: I love you dearly and know you're not the only culture to condone public tantrums, I too am apt to the odd one, I only mention you only cuz you're here with me.